If you like your grilled cheese sandwiches gooey, the New American is for you. 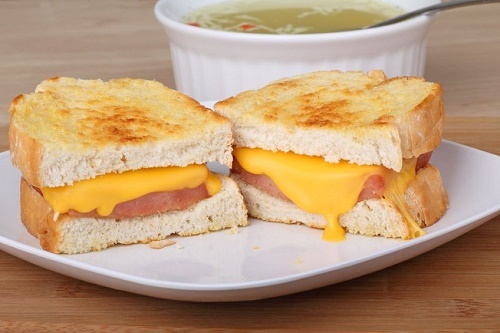 The gooeyness comes from the blend of shredded cheddar and butter that each slice of bread gets. The cheese, blended with the sliced sausages that the recipe includes, puts out a wonderful array of flavors and aromas.